League One club Walsall have signed Celtic centre-back Eoghan O'Connell on loan until the end of the season. 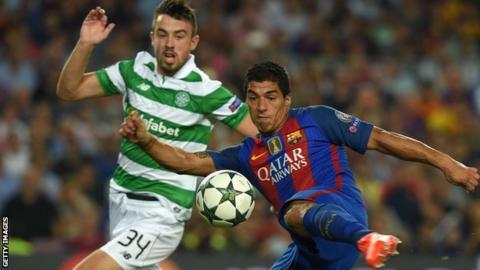 The 21-year-old Republic of Ireland Under-21 international has played seven games for the Scottish champions this season, including a Champions League group game against Barcelona. "We've had to fight off competition from clubs in England and the SPFL," Saddlers boss Jon Whitney said. Left-back Scott Laird has also extended his loan until the end of the season. The 28-year-old spent the first half of the campaign on loan from Scunthorpe, scoring three goals in 22 games.